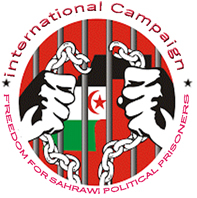 Bir Lahlou (Liberated Territories), 6 March 2016 (SPS) - The Polisario Front representative to the United Nations Ahmed Boukhari said that the visit of UN Secretary General Ban Ki Moon to the liberated territories of Western Sahara and the refugee camps will bring the Security Council to reconsider the Sahrawi question, noting that "the future strategic vision will support this cause." After his talks Saturday with Ban Ki Moon in Bir Lahlou (liberated Sahrawi territories), Boukhari said that "this visit will lead the Security Council to reconsider the Sahrawi question, after 40 years of Moroccan occupation and blockade by Moroccan regime of the terms of 1991 agreement, qui provides for the organization of a referendum for self-determination of the Saharawi people. He added that the visit is "a new element" in UN efforts to settle the conflict in Western Sahara as it is the first visit of a UN Secretary General to the liberated territories." "It (the visit) will undoubtedly have an impact within the Security Council through the report to be submitted next April, "he said. "France blocks the Sahrawi issue at that UN body because it supports the occupation following its former colonialist vision," he said while regretting that position. He also underlined that Morocco has tried to prevent the UN Secretary General from visiting the Sahrawi liberated territories after having impeded his visit to the Sahrawi occupied capital El Aaiun.